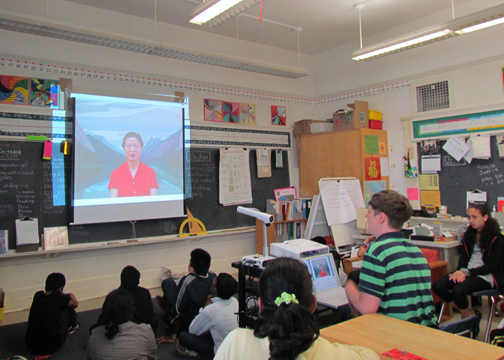 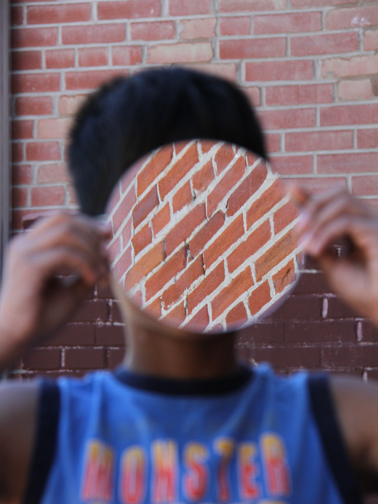 Talk­ing about Jin-me Yoon’s ‘Group of Sixty-Seven’ (1996–1997). 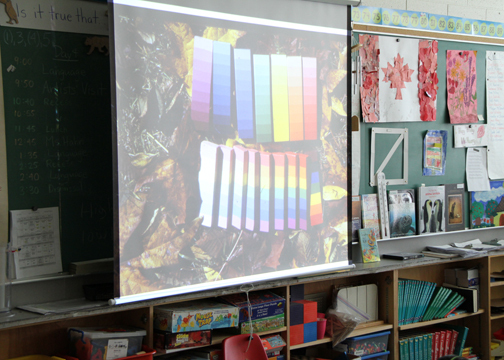 Look­ing at ‘Colour Bars and Colour Research’ (by var­i­ous artists), from the Morris/Trasov Archives, (1972 -). 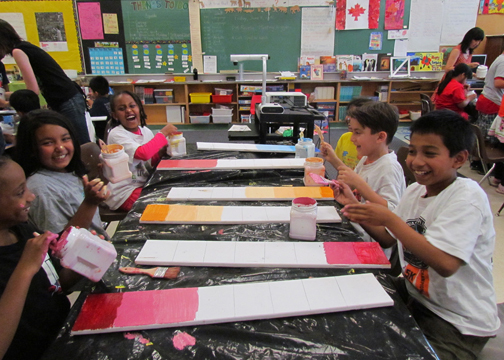 Mak­ing our own colour bars. 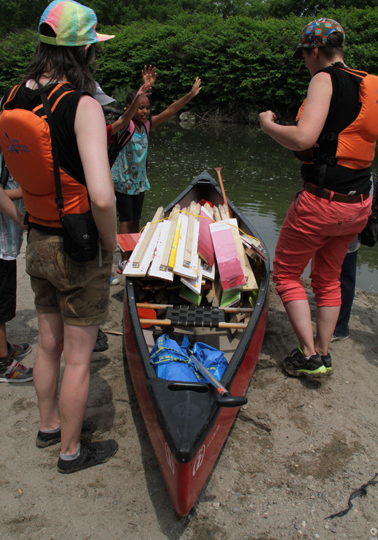 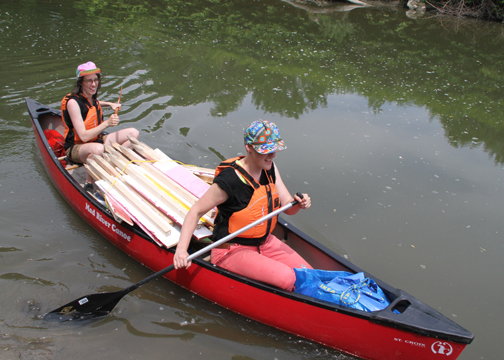 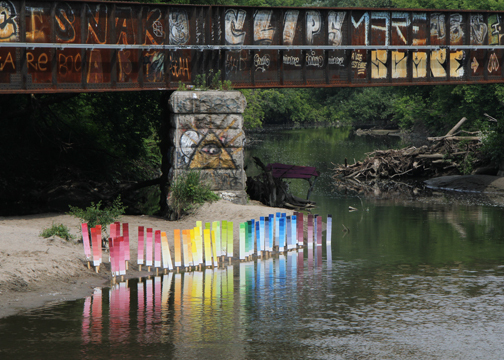 Colour bars arrive on the banks of the Don River by Canoe. 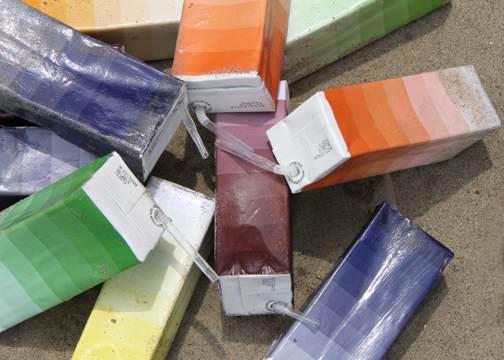 Con­duct­ing our own colour research. 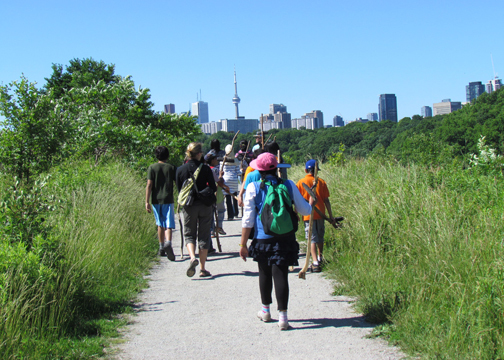 View­ing St. James Town from the Don Val­ley Brickworks. 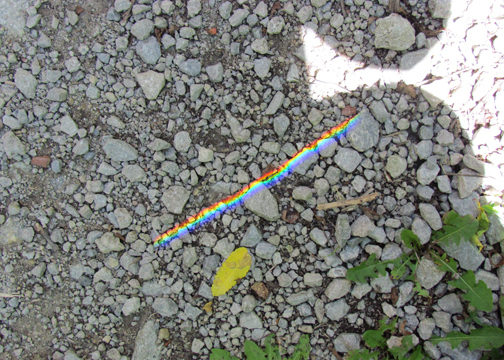 Rear-view mir­ror makes a rainbow. 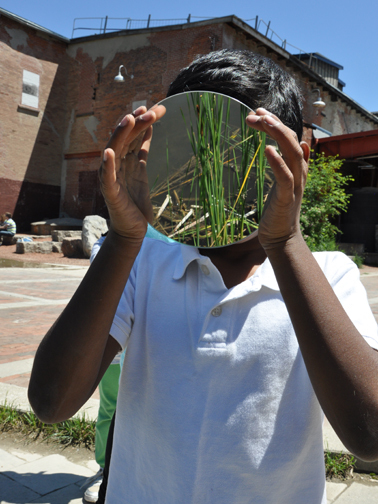 Cam­era Obscura finalé in the base­ment of the school. 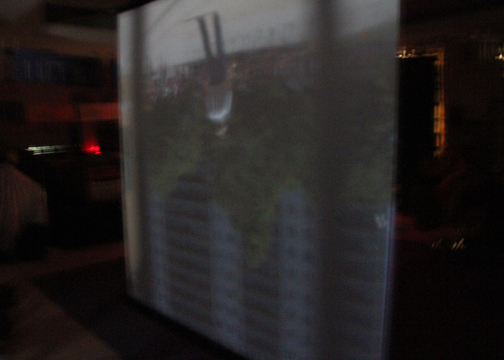 We watched the play­ground upside down. 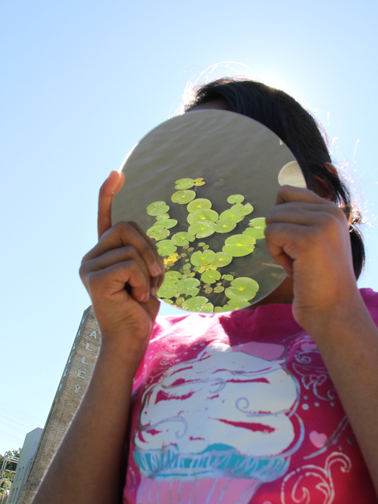 Upside-down and Backwards resulted in a series of inversions, reflections and refractions in between our ideas of nature and culture. 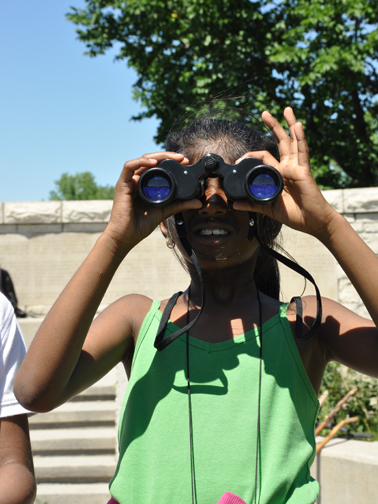 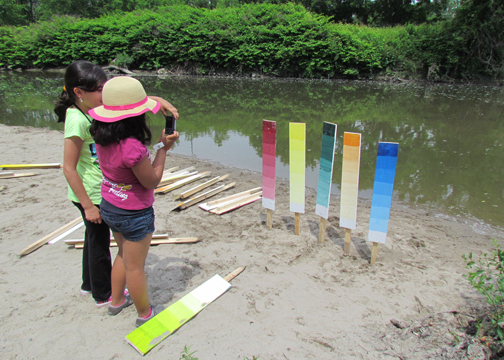 During the final two weeks of school, artists Hannah Jickling and Helen Reed explored artists’ investigations in nature and landscape, through several field trips. 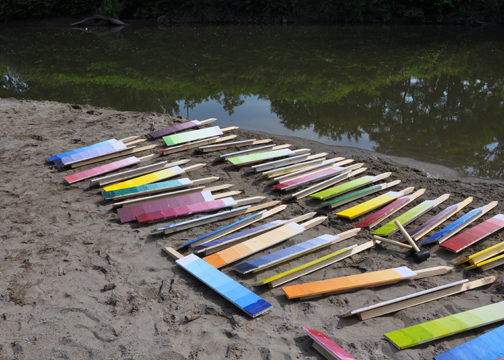 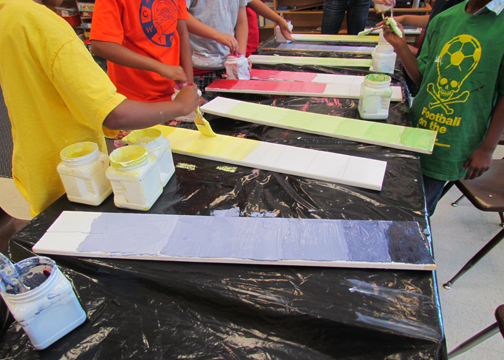 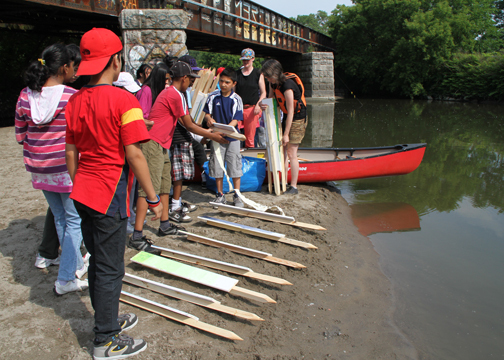 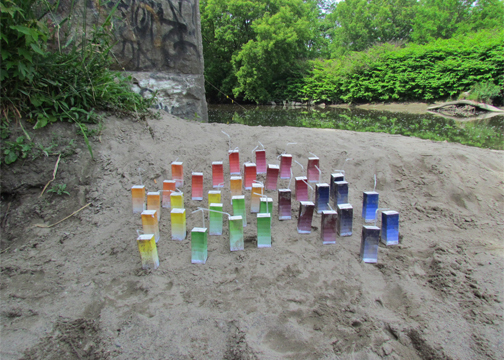 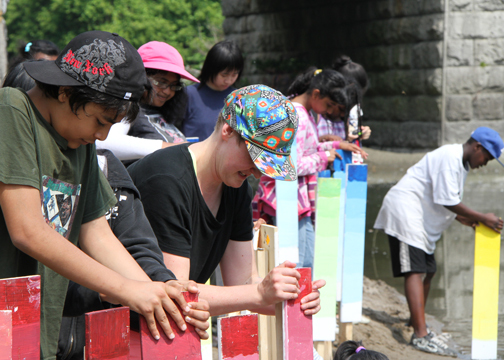 The classes created “endless paintings” on the banks of the Don River, with colour bars inspired by earlier Colour Research (particularly as remembered by the Morris/Trasov Archive). 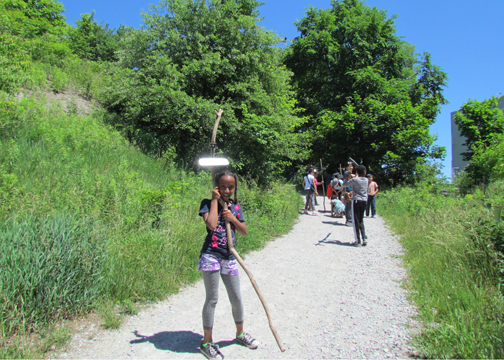 We hiked with Elinor Whidden’s Rearview Walking Sticks, and created landscape reflection portraits, inspired by Iain Baxter&. 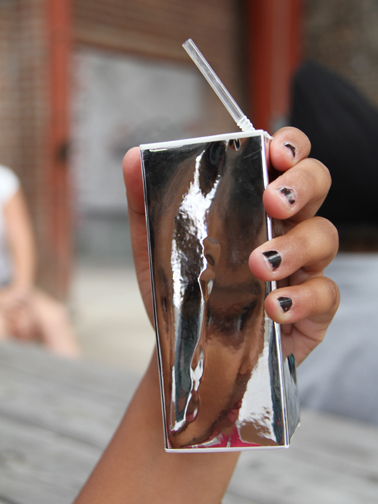 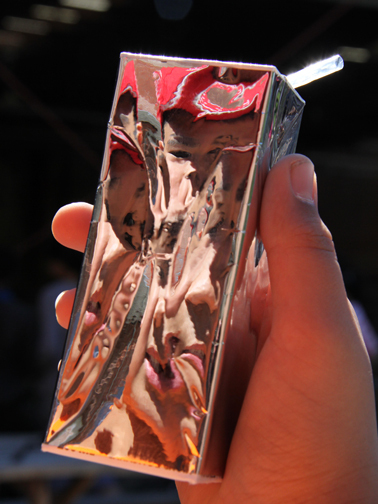 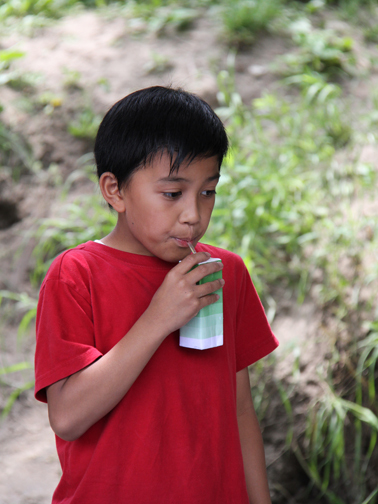 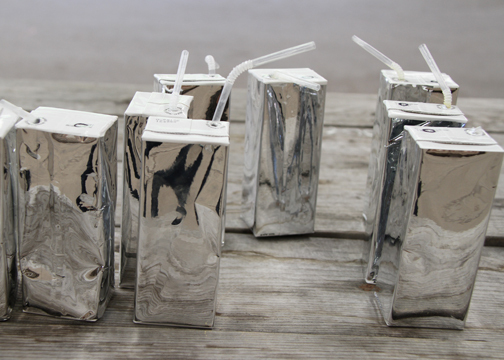 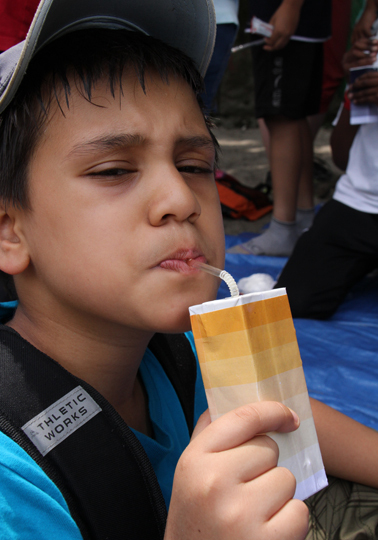 Juice boxes were made as props and ‘documents’ from each field trip. 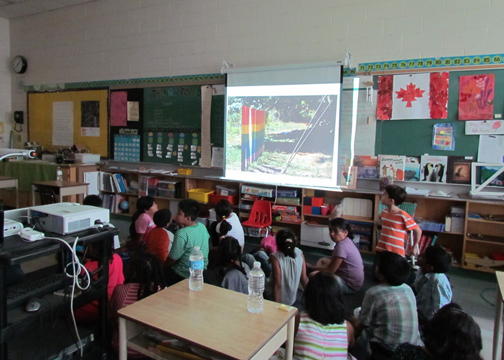 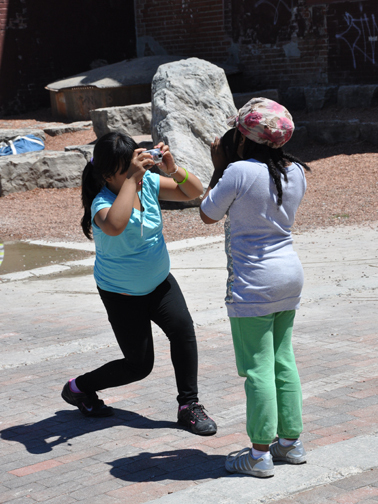 The grand finale featured schoolyard performances for the ‘pinhole’ of a camera obscura in the school basement.